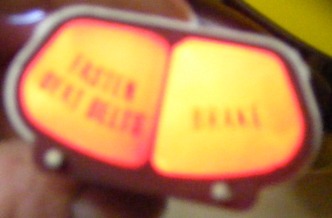 This is a factory used GM warning light lens for 70-81 Firebirds. 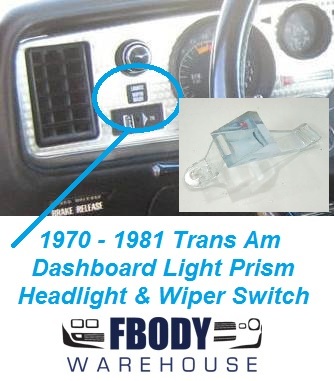 This is a factory used GM warning light lens for 70-81 Firebirds. This unit has either 2 lights (seat belt/brake) or 3 lights (seat belt/gate ajar/brake). Please use the drop down box to select the correct style needed. 3 lights (seat belt/gate ajar/brake). Please use the drop down box to select the correct style needed.